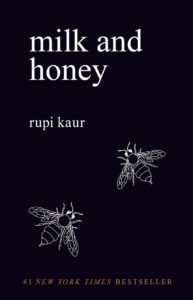 Rupi Kaur is a top ten Sunday Times-bestselling author and illustrator of two collections of poetry. She started drawing at the age of five when her mother handed her a paintbrush and said – draw your heart out. After completing her degree in rhetoric and professional writing, she published her first collection of poems, milk and honey, in 2015, which quickly became an international bestseller. It has since sold over 1.5 million copies worldwide and been translated into over 23 languages.